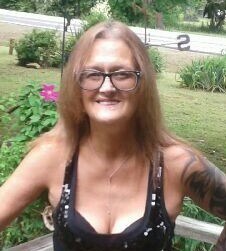 Melody Turner Rodgers, 59, of Pangburn, passed away August 31, 2018 at her residence. She was born August 1, 1959 at Rockford, Illinois. Melody was an LPN, and loved to garden and make jewelry. She was preceded in death by her father, Bobby Turner; step father, Arthur Espersen; and brother, Neil Turner. She married Britt Rodgers August 20, 2018; he survives. She is also survived by three sons, Trenton Mackey of Acworth, Georgia, Jason James of Jonesboro, Arkansas, and Brett Braswell of Eldorado, Arkansas; three grandchildren, Kylie, Devon, and Van; one step daughter, Brittany Lynch (Anthony) of Little Rock; three step grandchildren, Christian, Faith, and Isabella; her loving mother, Margie Ferguson Espersen of Pangburn; one brother, Scott Turner of Oak Grove, Louisiana; three step sisters, Tonie Tharp of Heber Springs, Brenda Miller (David) of Jacksonville, Arkansas, and Teresa Holden of Heber Springs.